Heart Signal 2 is a contradiction of a show. It is a show that describes itself as the most interesting, suspenseful dating show. Yet, it lacks the key story elements that are typically used to make dating shows compelling, like overt conflict and lots of displays of affection. However, both seasons of the show have been remarkably gripping with almost every episode leaving me wanting more. 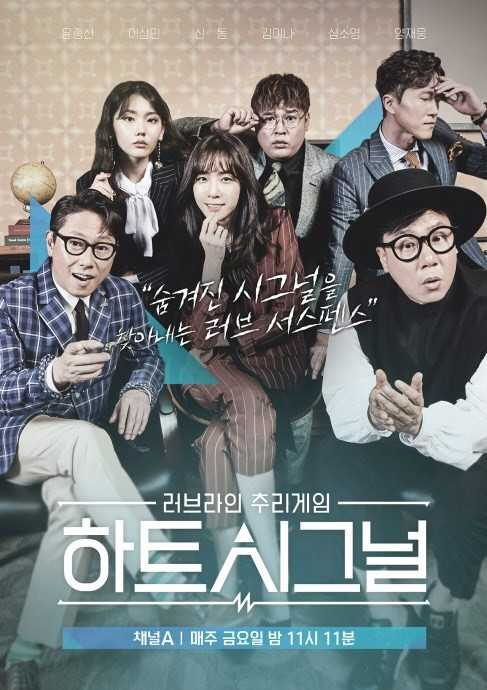 For me, what Yoon Jong-shin says at the start of every episode has some truth, Heart Signal is a very interesting and suspenseful show in its own way. It offers up something quite unique: a calmer, kinder alternative to a lot of other dating shows, but one that is still an enjoyable watch. The main aspect that stood out for me was the show’s sensitivity and empathy that is mainly due to the hosts of the show. The show features a set of MCs called the love forecasters, and they operate as a combination of detective-commentator-fellow viewers of the show. They are an interesting mix: you have the very knowledgeable Dr Yang, the emotional Lee Sang-min, the sweet Yoon Jong-shin and my personal favourite, Kim Eana, as well as the Season 2 guests, the hilarious ONE and the relatable Soyou. While they are very different hosts, all of them are notably empathetic, sensitive and invested in the contestants’ journeys on the show. They express complete joy when a romantic relationship begins to form or absolute agony when relationships break down or someone is rejected. One funny moment in Season 2’s special episode is when the love forecasters discuss their emotional reactions throughout the show and mention that Lee Sang-min and ONE often cried during the show. There are no snarky comments or mockery in this show that can often make watching a dating show an uncomfortable and awkward experience. This is a show that takes romance seriously and sincerely wears its heart on its sleeve, making for a heart-warming watch. Another reason for why Heart Signal is arresting is how well-constructed and layered the show is. The genius of it all is in the craft. Heart Signal is crafted like a fiction TV program, weaving together elements of various genres like mystery, psychological thriller, and romantic comedy. The best example of this is the use of mystery in the show. The show is framed by the competition between the love forecasters to work out who each contestant is interested in and therefore will choose to send a “heart signal” text to at the end of the episode as contestants are not allowed to openly express their feelings verbally. This means that the hosts will pour over every single scene and examine them in great detail. It is an engaging, engrossing game which adds a touch of intrigue to the show but most importantly, it requires the full attention of the viewer. It is so immersive and fun as there is so much to analyse and interpret throughout the duration of each episode. Furthermore, there is always the chance of getting it right at the end and the joy that can bring. Heart Signal in both its seasons has been a complete emotional rollercoaster. This is particularly true in Season 2 where the show keeps you on your toes with its enthralling twists. It all goes back to the engine of the show, human emotions. As human emotions are so unpredictable, the show itself is equally unpredictable. This is best displayed in the finale of the series which has been surprising for both seasons. The finale is a culmination of previous episodes as it features the decisive phone calls where the final choices of the contestants are made. It is an emotive, exciting watch even if there is no overt conflict. The finale remains impactful as it swings from highs to lows seamlessly. Often, it had been very surprising and shocking, particularly in Season 2, as almost all decisions were never truly confirmed until the absolute last minute. You never really know for sure, and that is the thrill of it all. Hopefully, Heart Signal will be scheduled for a new season and I will be looking forward to it with great anticipation. This is because Heart Signal is a show that keeps on improving. Season 2 corrected a number of weaknesses that surfaced in the first season, including moving the catfish contestants’ arrivals earlier in the series so they had more of an opportunity to connect with the other contestants. For a new season, there perhaps should be some experimentation with the show, maybe an older set of contestants looking for a chance at love. 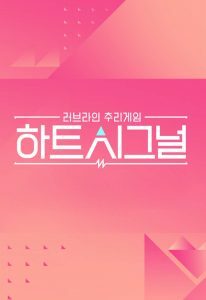 Whatever they plan to do, Heart Signal should certainly strive towards retaining its strengths.